I’ve known about worshiping through dance for only a few years. I’ve seen some powerful and breathtaking performances, and I think it’s beautiful to see someone dancing to the Lord. Is worshiping in dance biblical? It is according to God’s Word. Since I’m not an expert in this area I’ve asked my friend Annette Shepherd to tell us about what it means to worship God through dance. Annette began dancing at the age of 4 and continued her dancing career until she was 26. She studied ballet, jazz, tap and Modern Interpretative Dance. She danced in several shows and retired from that lifestyle when she got married and her children came on the scene. This is her testimony. In 1968 Annette saw the movie “Fiddler on the Roof” 27 times and all within two weeks. She went to the three sessions on the same day only if she could control the headaches from crying. She couldn’t understand why this movie had affected her so. At this stage Annette had not found the Lord and it wasn’t until ten years later, in 1978, when she accepted Jesus as her Lord and Savior that she understood what this meant. At the age of 40 Annette was asked to start up an inter-denominational Christian exercise group where unsaved people could come and socialize with Christians and exercise together to Christian music. At first Annette refused because she had lost her confidence considering her age, but after Annette prayed, God confirmed that it was what He wanted, so in 1981, with another teacher, this group turned from an exercise group into a dance group. In 1983 Annette was asked to be the dance teacher on the Sunshine Coast, Australia. 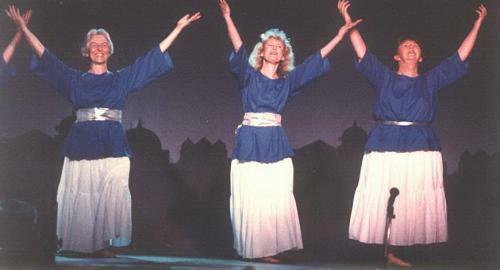 At that time she had to learn Israeli dancing for a three day festival which was held each year at the “Celebration Shalom.” This was an outreach both to the Jewish and Christian community. Again Annette refused and took it to the Lord in prayer. He told her, “You are the forerunner of what is to come,” and at that moment Annette realized even before she was saved that God had had a call on her life. She was to teach the love of the Father’s heart through dance. He also gave her a heart for Israel and the Jewish people. Hence “The Rejoice Dance Company” was formed. Annette was the director and choreographer from 1981 to 2000 for a total of 19 years. During that time Annette organized 3 Feast of Tabernacles festivals combining all the churches within the area. One Sunday morning service, Annette recalls, she had to choreograph communion for eighteen hundred people. She found that God was always faithful particularly when she had to decide which dances to perform at a church meeting. The answer always came at least two weeks before the meeting through the pastor’s message or through the worship music from the worship team. At one point God showed Annette that she and her group were not to perform in the same manner the world did but to perform with love for one another. When they danced they were to dance with the right attitude in their hearts. God told her if they danced His way He would do the blessing and the anointing would come. They had to examine their hearts constantly before they ministered to the people. There were times the women in the group had to forgive each other. They were God’s servants and His instruments; therefore their attitudes had to be pure and holy. The “law of Christ” referred to in Galatians 6:2 is the law of love, Jesus’ “New” commandment. God opened many doors for this group of faithful women. Their husbands released them so they could minister overseas and around Australia. They ministered in churches and ran workshops teaching people the joy of worship, how to set their bodies free and to soar in the Spirit. They encouraged the people to move in a fully uninhibited manner and to be free like a child. Dancing before the Lord is not totally about technique. It’s about having the right attitude in your heart. It’s also about telling a story. The music, words and dance must be united in harmony. 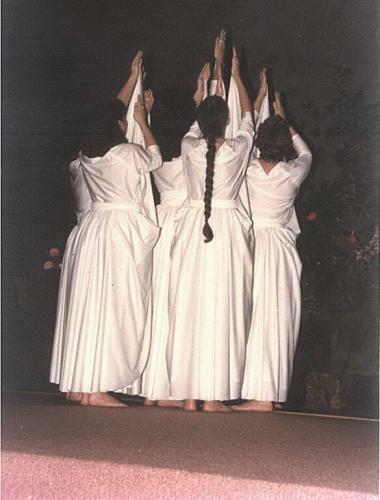 Dancing for the Lord is a very unique ministry and the group or soloist must not have any distractions in what they wear such as their costumes, undergarments, hair, makeup, jewelry and even nail polish. 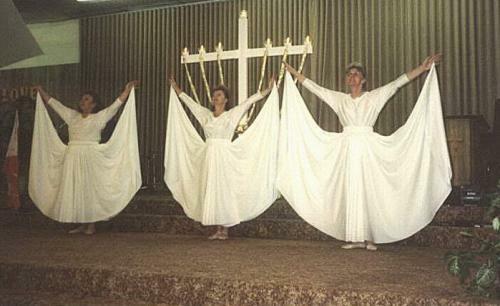 Since this is such a visual ministry any distractions can take away from the message the dancers are presenting before the Lord. Color is also very important to the dance. Annette explained that God would always give her the colors to be used in the costumes, such as fabrics, ribbons, tabards and sashes. The word “dancing” consists of basically three expressions which can remain separate or intertwine: interpretive, choreographed and spontaneous. Before coming to any hard and fast decisions regarding dancing we should examine what the Bible says about it. Of the 27 biblical references to dance, danced, dances or dancing, some 19 are positive in that they refer to expressions of either joy or worship; while only 6 are negative, referring to heathen or seductive dancing; and two references are neutral. Since creation men and women have found dance to be an emotional outlet. By the time Miriam the prophetess led all the women of Israel in spontaneous celebration of victory by the sea (Exodus 15) dancing was a well established practice among the ancient nations. Dancing was prevalent on sacred occasions. Valiant warriors were welcomed home by singers, dancers and tambourine fanfare, (Judges 11:34 and 1 Samuel 18:6) the most familiar biblical passage relating to the dance is that in (2 Samuel 6) describing King David, dancing and leaping before God and his people with all his might. Why is it we endorse it for David and reject it for ourselves? Much of the music in the Church today, especially in Charismatic churches, has a definite Israeli flavor. Incorporating folk dance steps into the regular worship with those songs seems only natural. Jewish believers have no difficulty carrying off the long tradition of expressing joy in the dance. Those of us who have been adopted into Abraham’s family through Jesus Christ can participate in the “Hora,” a well-known Israeli dance. 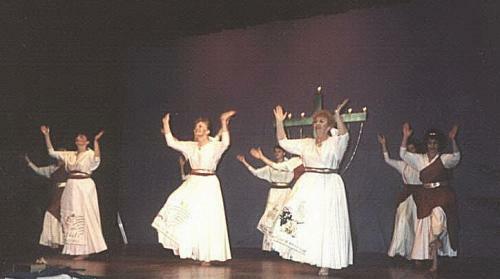 Hebrew folk dancing provides an excellent foundation for worship dancing. I know of several women who go to the Jewish centers in their respective cities who not only benefit from the dancing practice, which they in turn share with others, but they take the opportunity to improve the relationship between Christians and Jews. The Father loves our worship and if you decide to worship in dance, come to Him spiritually clean and worship the Lord with a pure and good heart.